I am forwarding to you a copy of a letter I sent to Public Relations Director Odessa Hines requesting information relating to Board of Trustees member Willie Gary. Ms. Hines informed me that she could not provide answers to my inquiries and suggested I contact you. Please provide me with information I requested from Ms. Hines that back Mr. Gary's and the Willie Gary Foundation's claims that Mr. Gary has donated $10 million to Shaw University. Whether he has made the donation may have implications with the IRS both for Mr. Gary and Shaw University. Regarding individual donor information, to protect donor(s) privacy, we do not sell, share or trade personal information with other entities without donor’s written or expressed permission. Therefore, I am unable to provide you with additional information as requested. 1. "In 1991, Gary pledged $10.1 million to his alma mater Shaw University." This is a quote from a glossy brochure promoting Willie Gary and his legal services. The brochure was handed out when he, his son Sekou Gary and partner Lorenzo Williams, tried to drum up business around the water crisis in Flint, Michigan at a church event in Flint on January 30, 2016. 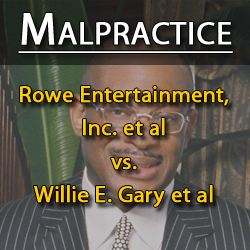 In part the leaflet stated: "Willie Gary of Stuart, Florida likes to promote himself as the 'World Renowned' or 'Famed Willie Gary.' 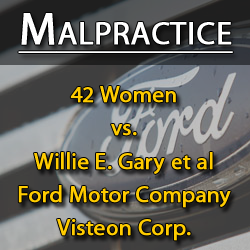 To many of his former clients, the 'infamous Willie Gary' is more appropriate, someone who is disreputable, immoral and a disgrace to his profession. Countless victims of this predator describe how he has stolen settlement monies, forged documents, withheld evidence to throw cases and accepted expensive gifts from defendants he is suing in order to enrich himself, thus further victimizing those he is supposedly representing." 2. "Willie Gary attorney has donated millions of dollars to help Historically Black Colleges and Universities – including $10 million to his alma mater Shaw University in Raleigh, North Carolina." This is a quote on the home page of the Willie Gary Foundation website. The Raleigh News & Observer (5/28/10) reported that Gary "acknowledged failing to keep up with his own $10 million pledge, made in 1991 at a promised rate of $250,000 a year - a gift that brought him nationwide praise..."
A number of Shaw alumni have been in touch with me describing their concerns over the continued presence of Mr. Gary and Lorenzo Williams on Shaw's Board of Trustees. I have read the federal lawsuit filed on October 29, 2015, by Shaw alumni against Willie Gary and current Board Chairman Joseph Bell Jr., alleging breach of contract, conflict of interest and years of mismanagement that have tarnished Shaw University. 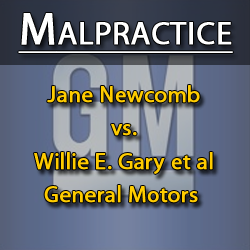 I understand the lawsuit was recently dismissed. 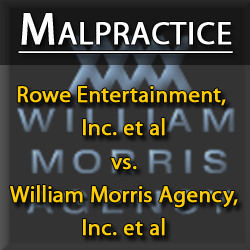 However, I'm sure that issues raised in and around the lawsuit will not disappear. Ms. Hines, I asked you if the university had ever received any or all of the $10 million or $10.1 million contribution Gary documents claim. I have received no response. Please tell me or direct me to someone in the university administration that can provide me with information and documents showing how much and when Mr. Gary made payments on the "$10 million or $10.1 million contribution described on the Willie Gary Foundation website and in literature that promotes him and his law firm, his fame and fortune and his generosity to Shaw University. Shaw University is the South's oldest historically black college located in Raleigh, NC. 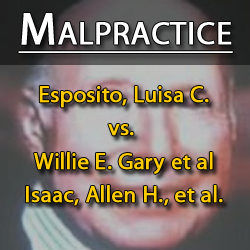 Willie Gary and Lorenzo Williams, his senior partner in the Gary, Williams, Parenti & Watson, P.L.L.C. law firm, are members of Shaw University's Board of Trustees. Gary use to be chair of the board until forced to step down while Lorenzo Williams remains as vice chair. Both also remain on the board's Executive Committee. In direct violation of the charter of Shaw University, Willie Gary and other executive committee members extended their terms by remaining on the board in excess of 15 years. This, critics say, has hurt Shaw University in a number of ways and has stifled its growth. Proponents of Shaw University say Gary is deceiving the public and bilking the university: Everywhere he boasts of a $10 million contribution he never gave, opens the university to nepotism, spends university funds every year on lavish Willie Gary campus parties and named the student center, Willie E. Gary Student Center! Citing "g ross neglect," Shaw University's national alumni group has called for the school's board of trustees to step down or be dismissed, an appeal addressed to multimillionaire lawyer, alumnus and board Chairman Willie Gary. The May 14 letter from the alumni association's president, Emily Perry...says: "We can no longer stand by and allow Shaw to appear to deteriorate due to poor judgment. ... We have serious concerns regarding conflict of interest, fiduciary responsibilities, adverse interest and commitment. Shaw... has spent the last year trying to shovel its way out of debt exceeding $20 million. The May 14 letter is not the first rebuke. In March, the school's Florida alumni group sent a letter to Shaw administrators saying it was "amazed" that giving among board members totaled only $41,089 since July, despite Gary's pledge that each of the roughly 40 board members would chip in $50,000. On Shaw University's Honor Roll of Donors for 2012-2013, Willie Gary is listed under the category giving $99 or less. 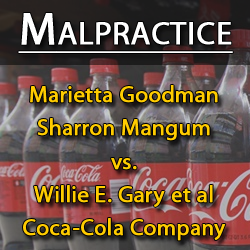 Willie Gary and law partner Lorenzo Williams are involved in a long-running scandal unraveling at Shaw University. As mentioned earlier, Willie Gary made headlines in 1991 after he pledged to donate $10 million to Shaw University. The Gary Foundation website boasts: "The Gary’s have donated millions of dollars to help Historically Black Colleges and Universities — including $10 million to his alma mater Shaw University..." Yet Gary has not come close to fulfilling that pledge. This comes as no surprise to many Shaw alumni who have suspected foul play during Gary's long tenure as chairman of the university's Board of Trustees while the university has been beset by financial and other improprieties. Under fire in 2012, Gary stepped down as chairman but remains on the board and its executive committee along with Lorenzo Williams, who is vice chair of Shaw's board. News & Observer (11/2/15) reported: "...Gary’s close relatives have been awarded generous amounts of work at Shaw. Documents filed with the Internal Revenue Service show Gary Financial, owned by the past chairman’s brother [Freddie Gary], was paid nearly $2 million in 2010 and 2011, the suit said...Both Bell and Gary are obligated to protect the value of students’ degrees and act in Shaw’s best interest, according to the lawsuit.